The Unit consists of the laboratories of histopathology, immunohistochemistry, diagnostic gynaecological cytology, molecular biology, flow cytometry and a fine needle aspiration room. It is staffed by the region’s best team of patomorphology specialists and a number of physicians pursuing their specialty training (residents), doctors of biological sciences, professionals with master degree in medical analysis and biology, a nurse and a team of medical analysts and medical technicians. 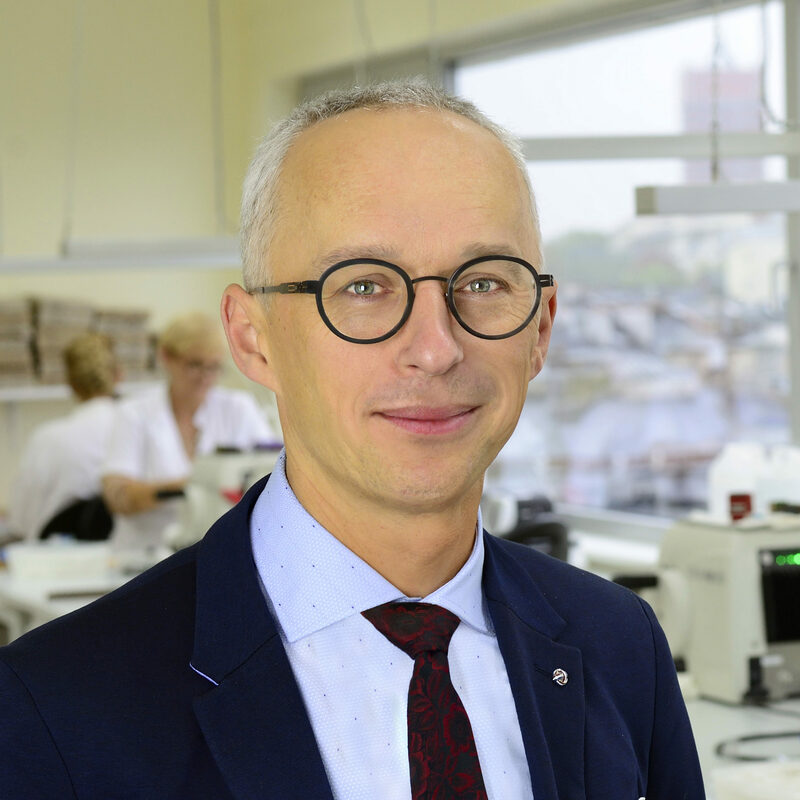 The main role of the Cancer Pathology Unit is to provide a precise and rapid histophaological and cytological diagnosis in patients treated at the Greater Poland Cancer Centre, and other health care institutions in the Wielkopolska region. The laboratories analyse samples from tissue, core needle biopsies, intraoperative and cytological specimens (gynaecological or non-gynaecological). We apply modern diagnostic methods; use 200 tumour markers; and perform fluorescence in situ hybridization (FISH) (including HER2 protein overexpression and HER2 gene amplification in breast cancer) to assess prognostic and predictive factors of key relevance for the type and scope of cancer therapies to be used. The Unit’s staff participates in regular interdisciplinary meetings to discuss cases of breast, gastrointestinal, gynecologocal, or head & neck cancers and select personalised treatment protocols. Office opening hours, Monday through Friday: 7:00 a.m. – 3:00 p.m.
Front office opening hours: Monday through Friday from 7:00 a.m. – 6:00 p.m.